Adams Arms is a leading recreational firearms manufacturer and is looking to raise $2.5mm in preferred equity to support working capital, driven by growing order volumes. 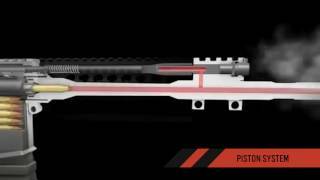 Adams Arms is a leading manufacturer of AR-15 style rifles and components. Founded in 2007, we deliver “Precision Technology for the Modern Warrior.” Adams Arms develops and manufactures rifles and parts and pistol components under the Adams Arms and Voodoo brands. Our rifles are highly regarded by military, law enforcement, and competitive shooters for quality because they offer excellent accuracy and reliability due to our proprietary gas piston system. We sell our products to civilian gun enthusiasts, military, and law enforcement through diversified distribution channels, including direct via our website and telephone sales and indirect through retailers, preferred dealers, and original equipment manufacturers. We are raising up to $2.5mm in Series A preferred equity to fund our growing order volumes. The Series A units will be at the top of the cap table and have a 5.0x preference, with other investor friendly features. Littlebanc Advisors (www.littlebanc.com) is the sponsor for the deal and Wilmington Capital Securities (http://www.wilmingtoncap.com/) is the broker dealer. Mr. Miller joined the company on March 1, 2017 and serves as interim CEO and Chairman of the Board. Mr. Miller brings significant firearms industry experience as the former Chairman of Freedom Group (now known as Remington Outdoor) as well as serving as Chairman of the Congressional Sportsmen’s Foundation (a not-for-profit foundation supporting hunting, fishing and recreational shooting legislation). In addition to his role with Freedom Group, Mr. Miller served as COO of YP Advertising Solutions (a.k.a. “Yellow Pages”), served as CEO of Maxim magazine, and has held other various high-level management positions. Mr. Granger joined Adams Arms with a diverse background from the automotive and motorcycle industries. Mr. Granger played key roles in the day-to-day operations of BMW Motorcycles of Fort Myers and Reeves BMW in Tampa, and then took over service and parts management and internet sales for Carlisle Motorcars in Clearwater, Florida prior to joining Adams Arms as Sales and Marketing Director and leveraging his networking and deal brokering skills. Mr. Granger’s industry knowledge and contacts on the military, commercial, and manufacturing front have enabled him to drive the Adams Arms’ brand and market position successfully. Mr. Bermudez joined the company in December 2016 as the Director of Operations. He is highly respected in the industry and has expertise in supply chain management and lean manufacturing. Previously, Mr. Bermudez was Director of Operations Supply Chain at Taurus Holdings, Inc., a firearms manufacturer in South Florida. Mr. Froning joined Adams Arms as Director of Sales in 2011. In his role as Director of Sales, Mr. Froning oversees the company’s national sales efforts and marketing campaigns. Previously, Mr. Froning worked as a Field Director for Securian Financial Group. Prior to that, Mr. Froning was a Crew Chief in the U.S. Air Force. Littlebanc is a bespoke private equity firm, sourcing and structuring our own investments. We do not use institutional capital. We were originally conceived to deploy the personal capital of the founding member, Michael Margolies, and a select group of limited partners. This allows us more flexibility in our approach. Our limited partners are predominately seasoned finance professionals. They are owners and operators of some of the larger hedge funds and PE funds. Collectively, we are investing our own personal money (we have real "skin in the game"). - Each deal is a separate investment. - Our principals lead every deal with their own capital. - Limited partners can pick and choose which investments they want to invest in. - Limited partners can "size" their capital any way they like.